Everyone and their mother knows about Banh Xeo 46A. What was once a local joint with a dash of tourists has become the premiere destination for Vietnamese crepes in the city. Job well done to the PR folks behind this restaurant. Based on a recommendation from a fellow Viet Kieu, I visited on a Friday night with The Astronomer and our friend Zach. The metal tables and patio seating reminded me of eating lunch in the quad back in high school. The eatery was bumpin’ the entire time we were there, which was cool because big crowds equal sweet atmosphere. 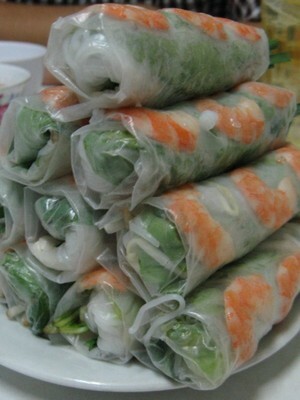 We started off the evening with ten cha gio and ten goi cuon. I love eating with boys with hearty appetites. The cha gio were the fattiest (you know, wide) ones yet and filled with a pork and crab mixture that rocked all of our taste buds. A little lettuce leaf wrapping and a dip of nuoc cham made the cha gio even better. These may rival Yen Do as my favorite cha gio in the city. 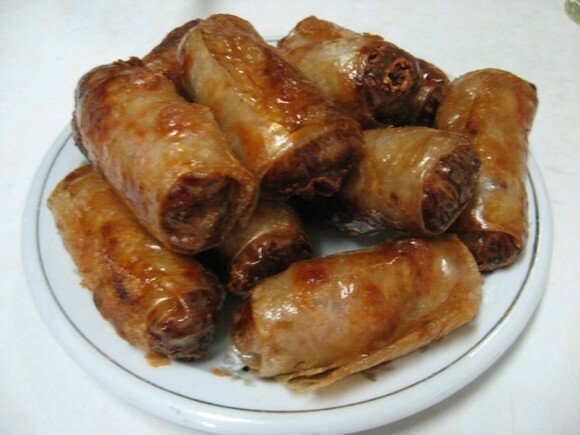 The goi cuon were awesome as well. 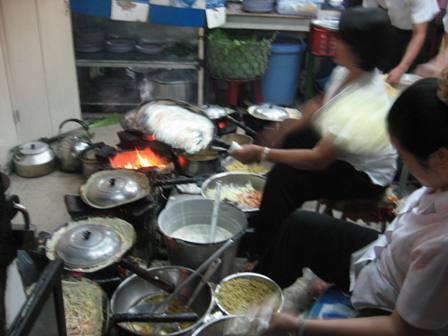 They were larger than average and packed with the freshest shrimp, pork, herbs and vermicelli noodles around. 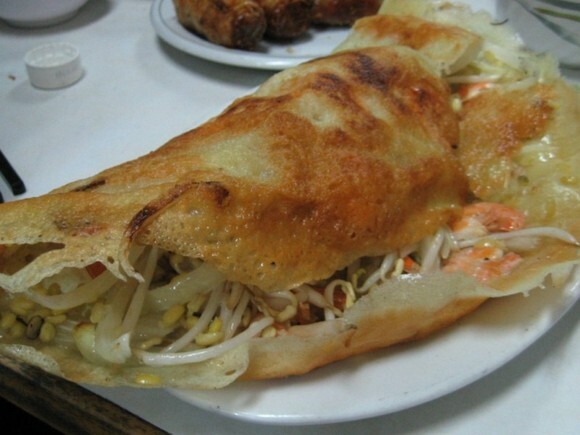 The house specialty banh xeo was stuffed with an abundance of pork belly slices, shrimp, bean sprouts and onions. The proper way of eating banh xeo is by wrapping up a piece of the crepe in greens and herbs and dipping it in nuoc cham. However, I still eat it the no fuss way my mom prepared it while growing up—small bowl + banh xeo + nuoc cham – greens and herbs. The crepe was good, but a little soggy in some parts and in my opinion, not worthy of the hype machine. The hype should instead focus on the cha gio, because they were so freakin’ delicious! Try the bi cuon next time 🙂 Doubt you’ll be disappointed. We ate at Banh Xeo 46A and across the street at 49A. The latter has several items not found at 46A, such as snail meat with ginger leaf, salted fried chicken, grill on the table beef or pork and clams…..all were EXCELLENT!!! For us, Banh Xeo 49A was the far superior choice. Note: if you’ve never been there before, even taxi drivers have a hard time finding it because it is down a small alley off the main road, but definitely worth the search!! I used to walk past that Banh xeo place every day on my way to school but never once thought about eating there. Now I am kicking myself every time I read about this place. But not to worry, I will make up for lost time and taste buds later this year. We were there a few months ago and compiled a video of our visit with the staff there. They showed us how to cook the dish. If you want to take a look, click the link below. Thanks!